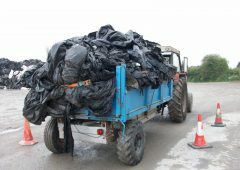 Home » Rural Life » Are Ireland’s farmers tweeting as much as the rest of the world? 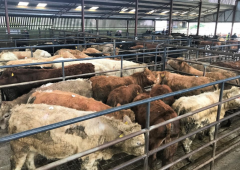 Are Ireland’s farmers tweeting as much as the rest of the world? 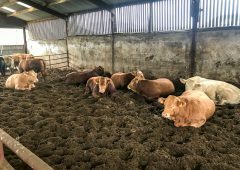 Irish farmers on Twitter have been tweeting on average 95 times a year and 67% of Irish farmers are tweeting off their smartphones, new research shows. 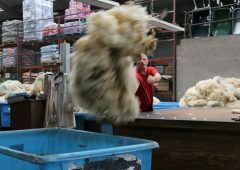 The tweeting device research is a week’s tweets from 22,000 farmers worldwide and it is compiled by Peter Gill of Social:Farmers. 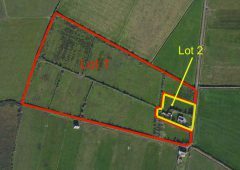 Kiwi farmers have been tweeting 58 times a year however the research shows that they are equal with Ireland when it comes to tweeting off their smartphones. Dutch farmers have been tweeting, on average, 139 times a year with US farmers tweeting 113 times each year, the figures show. Social:Farmers found that UK farmers were the top agricultural tweeters in 2014. Of the median average of world farmers actively using Twitter in 2014, it found that farmers in the UK top the social media charts with 161 tweets per year. The research also found that 82% of farmers who joined Twitter before 2010 were still tweeting in 2014. 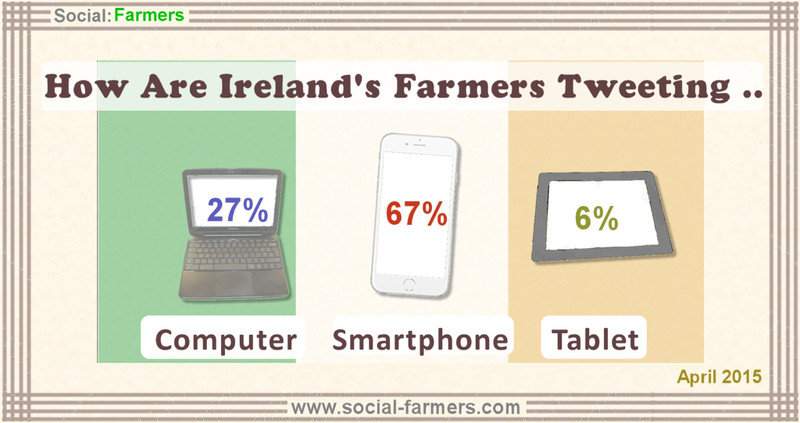 The research shows that Irish farmers tweet 67% from their smartphones 27% from a computer and 6% on a tablet. 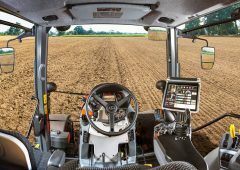 In comparison to Ireland, the research shows that UK farmers tweet 56% from their smartphones, 35% from their computers and 9% from their tablets. 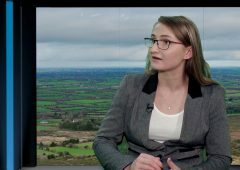 American farmers were also included in the study, compared to Ireland and the UK, US farmers tweet 50% off their smartphones, 44% off their computers and 6% off their tablets. 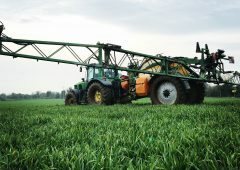 The research shows that as of April 2015, 54% of farmers worldwide tweet from their smartphones, 38% from their computer and 8% from their tablets. Ireland and New Zealand are leading the way in tweeting from smartphones. They are followed by The Netherlands (62%), Australia (60%), and Canada (57%). 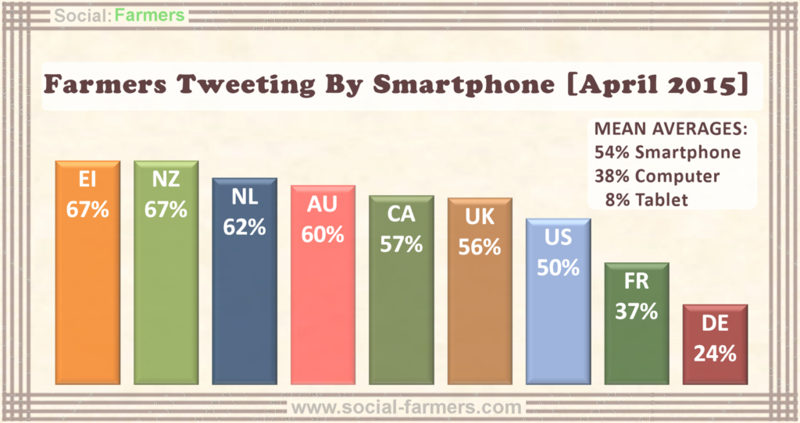 France (15%) and Canada (10%) have the highest proportions of farmers using tablets to tweet.